The Fancy Shawl dance is the most flamboyant and energetic of all Pow Wow women’s events. Performers skip and jump through the air while swirling their shawls in large sweeping gestures. The category is a relatively new one, different from the more conservative styles of the Jingle and Traditional Women’s dance. Some say its origins lie in mimicking the transformation of a butterfly from a cocoon. Others say that it was created by women wanting to duplicate the complex foot work of the Men’s Fancy dance. Saga says that the first time a woman (her friend) competed, she disguised herself as a man and entered the Men’s Fancy dance. Unexpectedly, she won! The judges decided it was time for change and they a created brand new dance category for women. I especially liked these shots of Saga in her Fancy Shawl regalia. I thought the strong colors and striking poses looked powerful. That’s representative of the dance’s origins in both cases, don’t you think? For more explanation of the different styles of Pow Wow dances I refer you to this article. Although dated, the post is comprehensive and complete. It is very informative and great prep for your next Pow Wow visit. The very first time I went to a Native American Pow Wow, I remember walking through the grounds and being followed by a symphony of bells and wind chimes. When I looked around I was surprised to see a dancer in her Jingle dress right behind me. The Jingle dress dance is a simple one. It is a ladies event and they jump up and down with their hands placed on their hips. It is mesmerizing to watch and so easy to get lost in the rhythm of the drums and metallic clink of the bells. Saga (my model) says that each bell is hand made and sewn individually to the dress. There can be up to three hundred and sixty five bells, one for each day of the year. It’s extremely heavy! Imagine jumping around with all that metal on a hot summer day. Even so, Saga says that once she gets going, she slips in to a zone where all the discomfort disappears. The Jingle dance is associated with healing qualities. The story goes that at the very first dance there was a sick little girl. The magic of the jingle dance roused her from her sickness and she awoke refreshed and cured. For more history on the Jingle Dress, have a look at this documentary by PBS and produced with the Mille Lacs Band of Ojibwe. The Jingle Dress Dance is a popular and powerful tradition that has spread throughout America’s Native communities. Ojibwe elders offer stories of its beginnings and its healing powers, and musicians demonstrate the unique songs and rhythms of the dance. Produced with the Mille Lacs Band of Ojibwe. A new year is a good time to try something different. After my less than illustrious foray into flash photography, I’ve been shy about doing studio shoots. However when Hubby arranged a session with a model in Native American dress, I was more than happy to tag along. The difference between studio and street photography is light. In a studio, you have full control of light, in street you don’t. In street, you chase the light. In studio, you make it. There’s a lot of technical knowledge involved in getting light to perform. Know-how and Gear and Set-up. For this session I was glad to rely on Hubby’s expertise. My focus was on getting a few good shots. Here’s my first set. I kept them in dramatic B&W to emphasize the shape and movement of the fancy shawl. Saga our model had some spectacular outfits. They were all handmade with fine details and gorgeous colors. 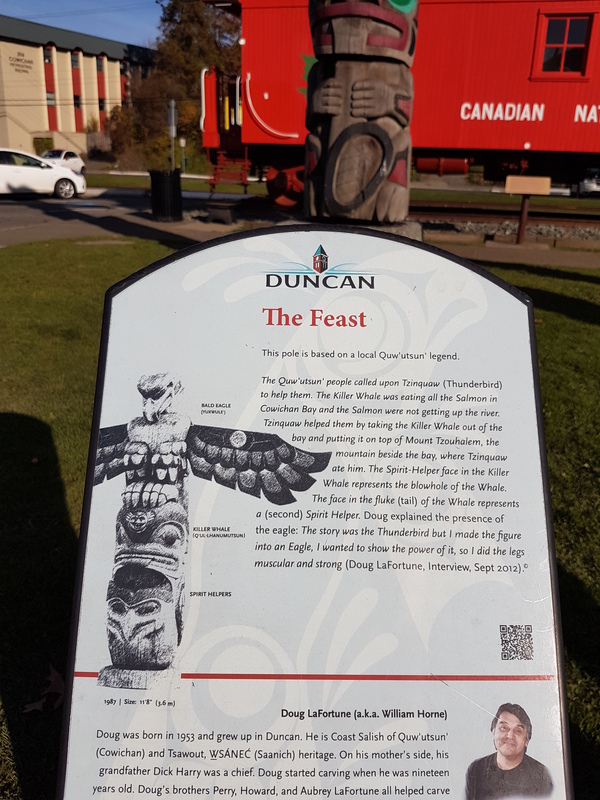 She also had an interesting tale about the origins of the Fancy Shawl dance event in Pow Wows … but you can read more about that in my next post. The first time I attended a Pow Wow it wasn’t even a Pow Wow. It was a Native American concert with time carved out for a traditional and fancy shawl dance demonstration. Lakota rapper Frank Wahn was the headline feature but the highlight for me were the dance performances. I’ve since attended larger and more official Pow Wows. Every time, just like the first time, I am impressed by their color and pageantry. There’s something spectacular about a Pow Wow. It begins with the Grand Entry when distinguished elders, veterans and leaders of the community enter the circle with the Eagle Staff. They’re followed by a parade of all the inter tribal participants. Over the PA system the MC announces the entrants and the participants dance to the rhythmic beat of the drum singers. It’s all very exciting and well …grand. 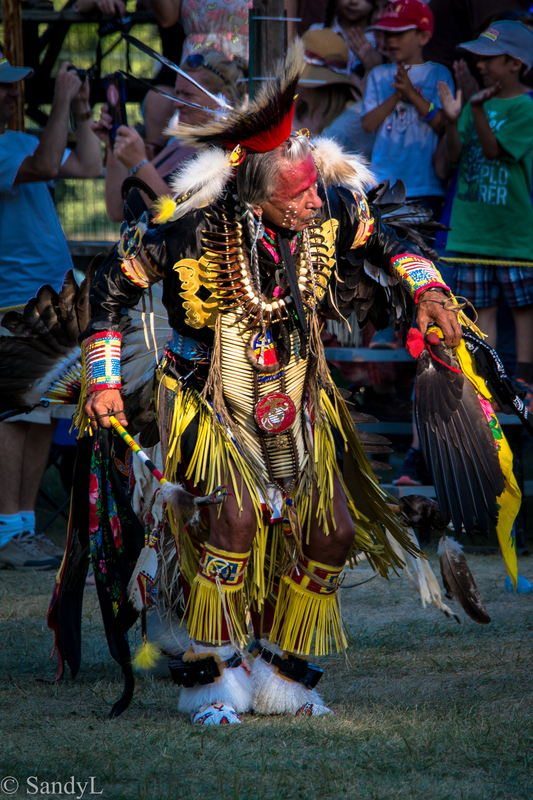 Modern day Pow Wows are a way to preserve the rich heritage of the North American Indian tribes and in many cases, include elaborate demonstrations and contests for dance and song performances. 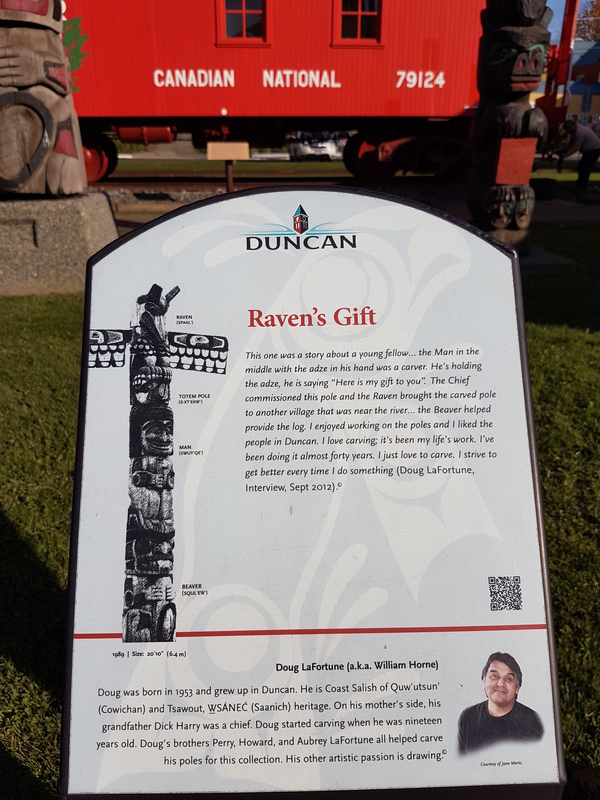 In the summer months there’s a regular roster of Pow Wows throughout Canada and US. When I attended my first pow wow, it was relatively low key with most of the spectators visiting from surrounding areas and reservations. This year I noticed an increase in the number of tourists and international languages peppering the crowds. Modern day intrusions, like unabashed selfie takers and intrusive drone cameras (!) have become distractions. Thankfully, they are still minor in occurrence. Generally performers are friendly and amenable to posing for pictures (with permission) and talking about their regalia. I met Brittney Shki-Giizis who gave me background on her outfit and close-up pictures of her dress. Called ‘regalia’, Brittney’s outfit had sewn-in symbols of her tribe and clan; flowers for the Ojibwe tribe and her crow ‘helper’ from the Marten clan. The outfit was all handmade, intricately embroidered with millions of tiny beads. It’s no wonder that her dress cost thousands of dollars to make. Brittney is also an avid vblogger and her Youtube channel gives a fascinating look at Pow Wows, in front and behind the scenes. 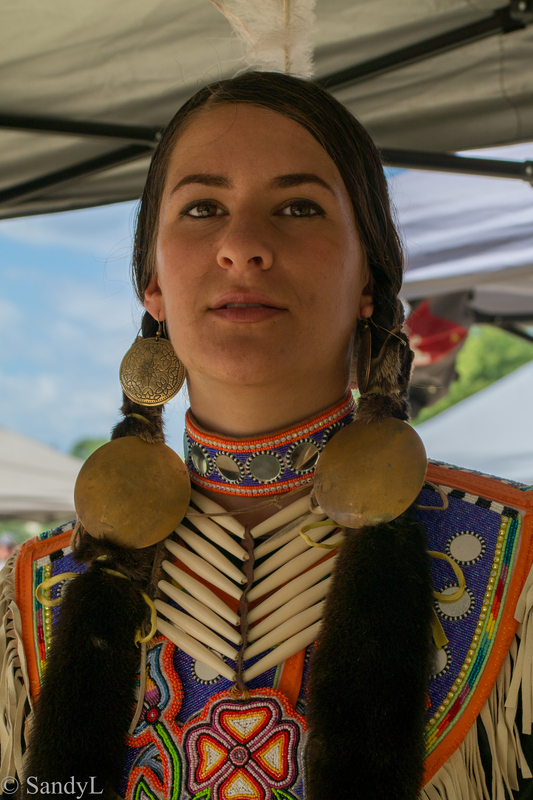 Check out her vlog entry here for the Six Nations Pow Wow where we met … and yes, I agree with her: it was a sweltering 40 degrees and the paparazzi like spectators were embarrassingly aggressive in taking pictures. Hopefully, she doesn’t remember me as one of them.